William I, famously known as William the Conqueror, was an illegitimate child, born around 1028 at Falaise, Normandy, to Robert I, Duke of Normandy and his mistress, Herleva. 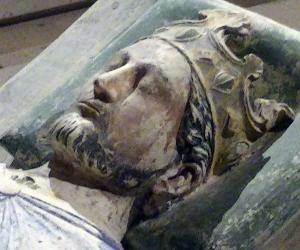 In 1035, before leaving for pilgrimage to Jerusalem, Robert declared William as his heir to the throne of Normandy. On his way back, Robert died suddenly and the young William, aged 8, inherited the dukedom. The early years of William’s reign were afflicted with violence and corruption as the barons constantly rebelled and conspired to gain control of the kingdom. However, with good fortune and some help from Robert’s loyal men, William survived and evolved into a dominating ruler with an aversion towards lawlessness. By 1042, William was knighted, and from 1046 until 1055, he dealt with a series of baronial rebellions. He returned to Normandy and asserted his authority, defeating the insurgents after which he began to restore order in his dukedom. Upon gaining a firm control over his duchy, William started expanding the territories under his kingdom. By 1064, he was successful in conquering two neighboring provinces, Brittany and Maine. Meanwhile, the King of England, Edward the Confessor, who had no heir to his throne and was a distant relative of William, promised William succession to the English throne. However, upon Edward’s death in 1066, his brother-in-law, Harold Godwin, claimed the throne of England for himself despite having made an oath earlier to support William in his claim. As a consequence of this betrayal, William decided to invade England and enforce his claim. William assembled his troops but due to bad weather, their plan of attack was delayed for several weeks. Meanwhile, Harold’s exiled brother, Tostig, joined hands with the King of Norway and together they invaded England from the North Sea. Harold, who had been preparing for William's invasion from the south, rapidly moved his army north to defend England from Norway. Although Tostig and his allies were ultimately defeated in the battle, their sudden attack proved to be beneficial for William. After defeating the Norwegians, Harold’s troops marched back down to fight William’s army without a rest and in October 1066, the two armies met in the famous ‘Battle of Hastings’. 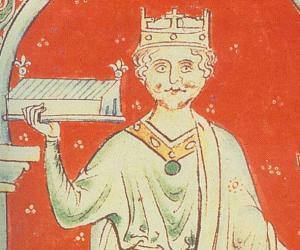 King Harold, along with his two brothers, was killed in the battle and William's path to the English throne became clear. 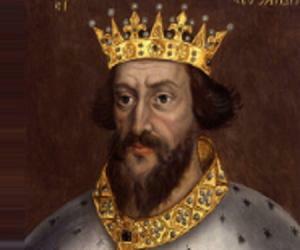 On Christmas Day, 1066, William the Conqueror was crowned the King of England in Westminster Abbey. Upon ascending the throne, William introduced the Norman practice of building castles in England, including the Tower of London. During the next few years, there occurred several rebellions under his reign which William cleverly manipulated to confiscate English land and declare it his personal property, later giving it to Norman barons. William’s conquest played a significant role in shaping the history of England by transforming its language and literature as well as art and architecture. 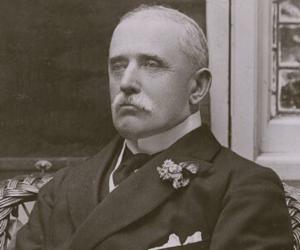 Due to his policies and efforts, Britain emerged as the most powerful nation of Europe. During the last 15 years of his life, William mostly remained in Normandy, retaining most of the greatest Anglo-Norman barons with him. He effectively confided the English government to his loyal bishops. After seizing the English throne, William retained most of the country’s institutions and was much eager to learn about his new property. He ordered a detailed and economic survey of the population and property of England, the results of which are compiled in the two volumes of ‘The Domesday Book’. Viewed as one of the greatest administrative accomplishments of the Middle Ages, the book currently rests in the Public Record Office in London. William the Conqueror was married to Matilda of Flanders, the daughter of Count Baldwin V of Flanders. The couple had a large family which consisted of four sons and five or six daughters. William died on September 9, 1087, in Priory of Saint Gervase, Rouen, Normandy, after sustaining injuries in a horse riding accident. He was buried in the monastery of Saint-Étienne de Caen, France.